Southeast of mainland Greece in the southern Aegean Sea lies the stunning island of Santorini. A volcanic island, Santorini is an arid environment with a hot desert climate and very little rainfall, one of the only two environments of its kind in Europe. 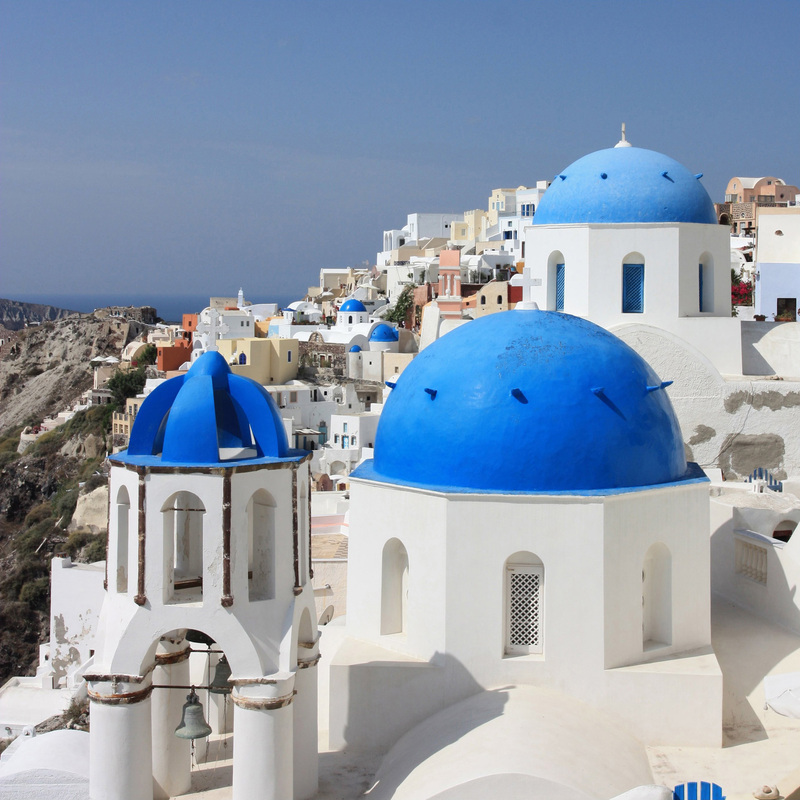 ira, the capital, and Oia are the two main cities to visit on the island. 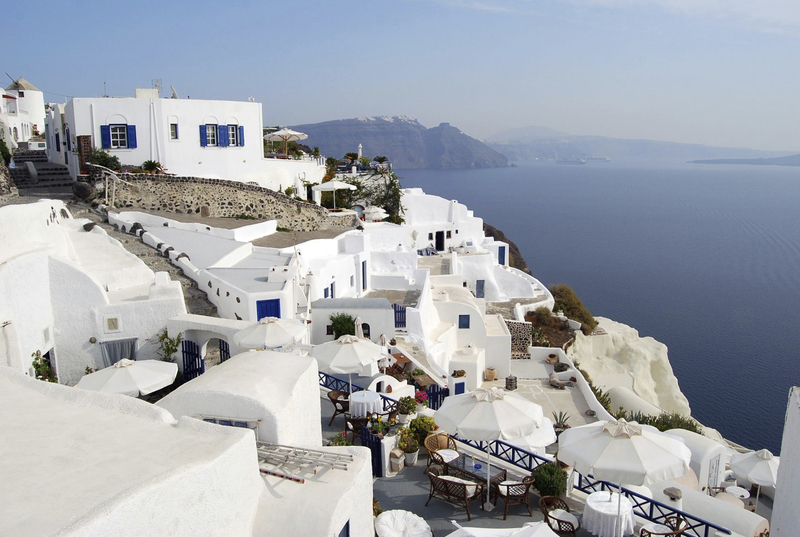 The buildings and home of Santorini are the island’s most striking feature, consisting of whitewashed cube shaped houses, many with beautiful blue domed roofs. The hot climate and lovely black sand beaches make lounging on the beach with a delicious drink a favorite activity for visitors. Santorini is also home to wine vineyards, and a variety of world renowned vegetables, including tomatoes, white eggplants, and cucumbers. The island also has an airport which receives flights from Olympic Air, Aegean Airlines and Athens Airways. Fantastic accommodation for any budget can be found on this magnificent unique island. Santorini has always been a goal of mine to visit. I will go there someday!! Santorini, one of the most facsinating places on earth. Just beautiful when the sun sets on the horizon! I’m definitely going to visit Santorini. Can it really be this beautiful?? 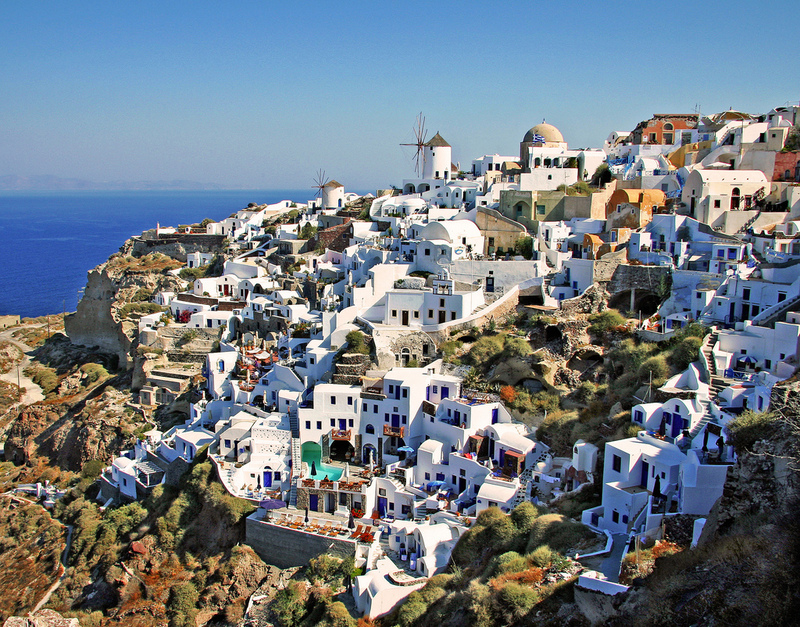 I have a friend who has been to Santorini and swears that this is exactly as it looks. Maybe one day?